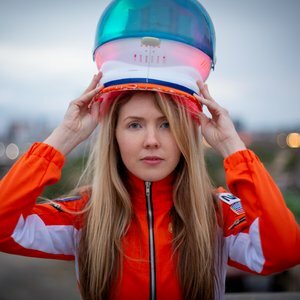 Pioneering singer-songwriter Beatie Wolfe - an artist who has beamed her music into space, been appointed a UN role model for innovation and held an acclaimed solo exhibition at the V&A Museum - is recording her next record with award-winning producer Linda Perry and her company We Are Hear. Named by WIRED as one of "22 people changing the world,” Beatie Wolfe is at the forefront of pioneering new formats for music that bridge the physical and digital, which include: a 3D vinyl for the palm of your hand; a wearable record jacket - cut by Bowie/Hendrix’s tailor out of fabric woven with Wolfe’s music - and most recently the world's first live 360 AR stream from the quietest room on earth. Wolfe is also the co-founder of a “profound” (The Times) research project looking at the power of music for people living with dementia.